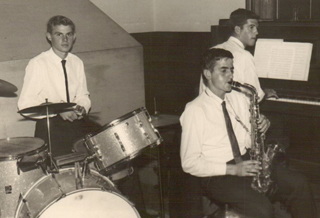 This is Laurie Kibblewhite, aged about 15 yrs, with Gilmore Greig on drums, and Bob Beach on Sax. 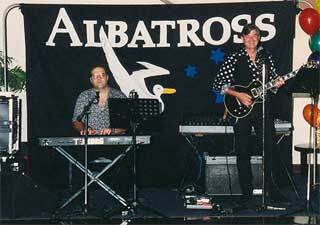 This was my first professional band. 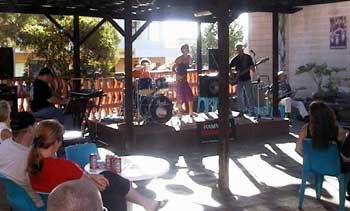 The place - Albany, Western Australia. 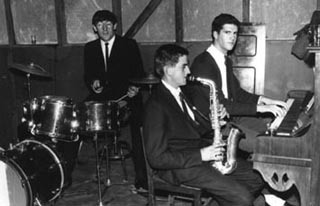 Aged about 18yrs, with Graeme Martin on drums and Bob Beach on sax. 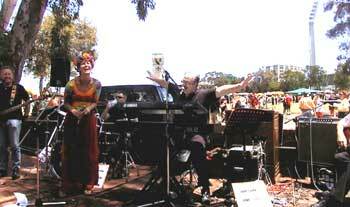 At this time, Bob and I played with various drummers, playing "Old Time Dance Music". 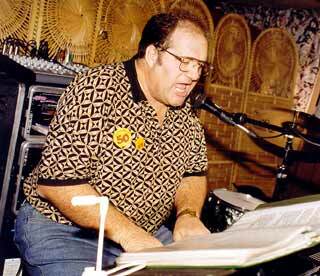 The first band to employ me on a freelance Basis, was the Bluestars in Albany. 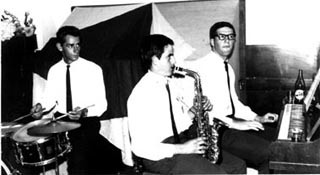 Greg Young on drums, Bob Beach on sax. 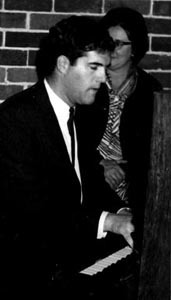 Aged 21 years, playing at my sister's wedding. 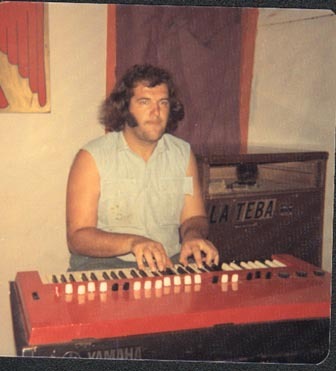 I was brought up as a piano player - here with my first organ and Leslie. In these days, I had hair and was relatively skinny. 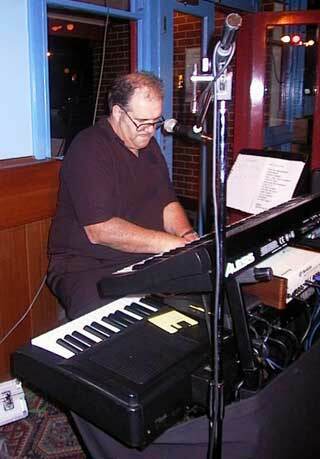 Now about 31 yrs, and my beloved Acetone GT7 and "Crummy" (Crumar) electric piano, playing at a wedding. 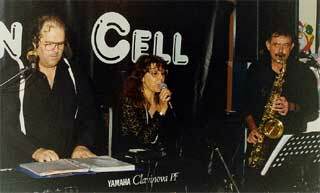 With Sue Downey (later to play with me in "Three In A Cell" in Perth in the mid 90's), and Greg Dutczak on bass. 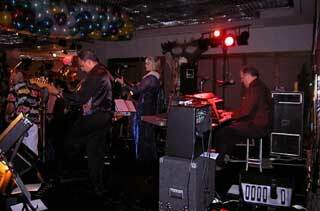 One of our regular gigs was at the Club Hotel in Collie. 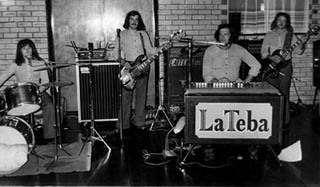 Now about 32 yrs of age, and a new band called "Instant Replay". 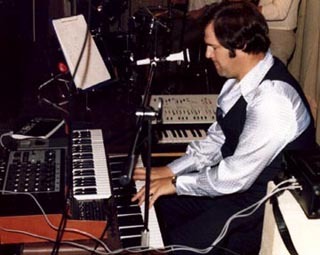 It lasted about 6 months, but the organ had gone, replaced by Yamaha CP20 Electric Piano, Arp Omni MkII String synth, and Arp Odyssey Synth. The Omni cost $2800 just for a string sound, and the Odyssey had to be turned on about an hour before the gig, to allow everything to warm up, before the tuning would settle down. 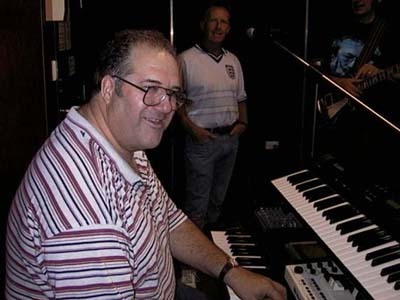 After a break of some years, I bought a Korg T3, and formed a duo with John Reid (who had a hit in the seventies with his sister in a duo called "The Sameday Twins"). 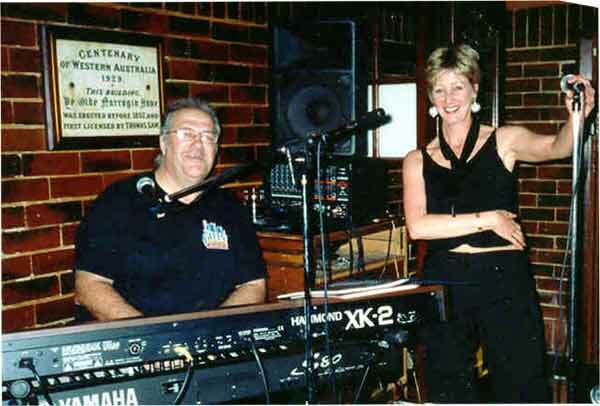 Then it was time to join forces with Gil Oswald and reunite with Sue Downey, with whom I had played in Katanning some years earlier. Gil had been out of the scene for some time, and being very much a fan of vaudeville, this outfit was an attempt to get involved in the cabaret circuit. We had moderate success, and a lot of fun. 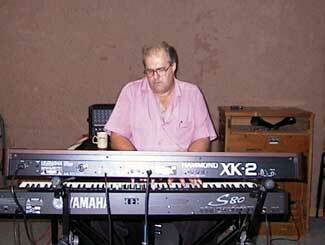 I was back playing organ and piano again. 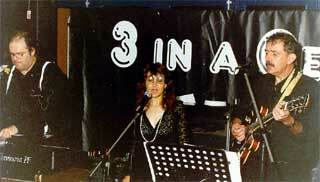 On my 50th birthday, Kis'n Tel evolved from the old "3 In A Cell", when Connie Kis Andersen joined us. 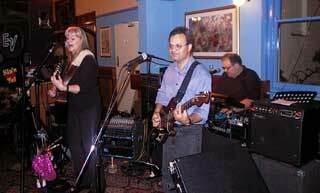 We were also now playing regular pub gigs, and our music was becoming more pub oriented. 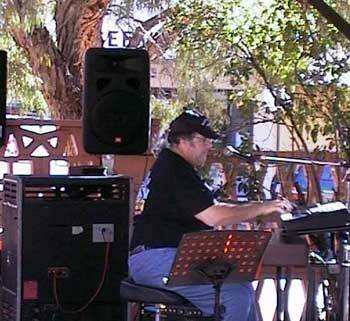 In time, Gil left, and was replaced by a brilliant guitarist with a great voice, Karl Redlich. That tongue is still making it's presence felt. 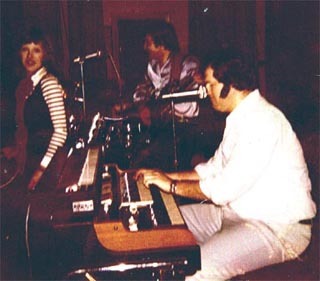 The Paul hammond Bluesmakers was the new outfit, and I was using a Yamaha P100 piano and an Oberheim OB3 organ module thru a Leslie speaker. 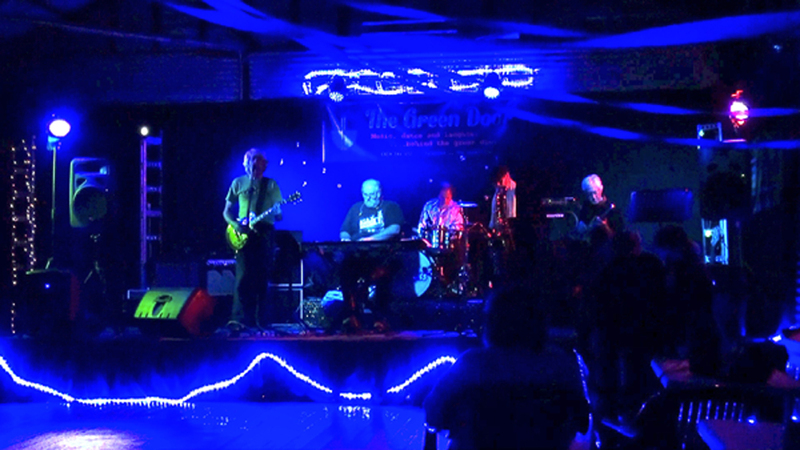 We were also well received at the Perth Blues Club. 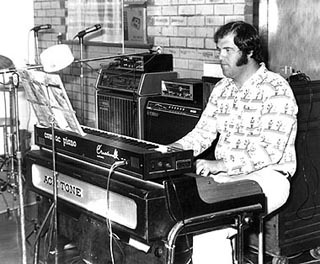 The Paul hammond Bluesmakers lasted for three years, during which time, Paddy moved to Bridgetown, and his spot was taken by Brad Johnson. 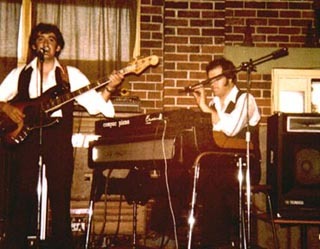 Original drummer Trevor Judd left, along with bassist Kevin Kelly. 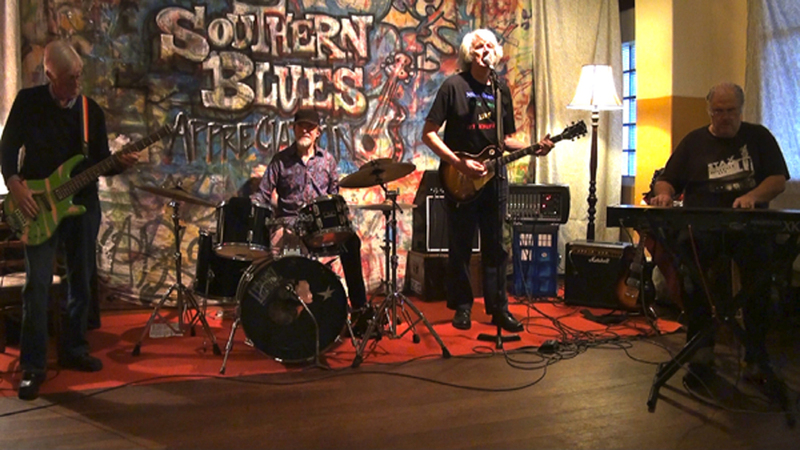 Roy Skinner added the bass to his singing duties, and the drum chair was taken over by Micke Johannson. 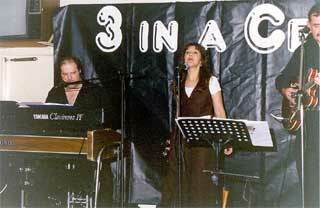 Debra Lee decided to leave during the recording of our CD, and then Micke moved back to Sweden for family reasons. 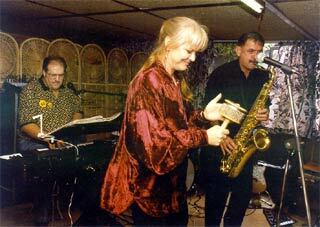 Then singer/saxophonist Karen Rudge gave me the call to work on a regular basis, and B Sharp was born. 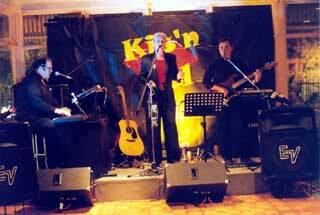 Karen is a talented singer who also plays Sax, Clarinet and Harmonica. 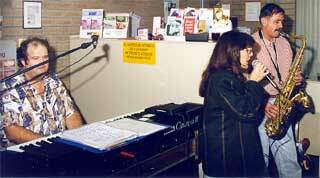 The duo worked until June 2007, when we both decided to call a break. 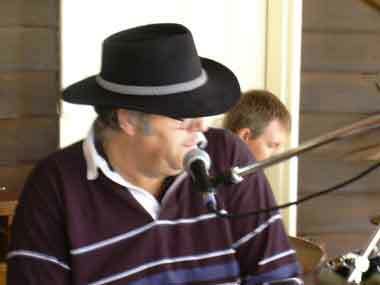 June 2014, and I rejoin the Bluesmakers lineup in Bridgetown, Western Australia.